Puran, who lives in our village in Chhattisgarh, is the happy, new owner of a small general needs shop. 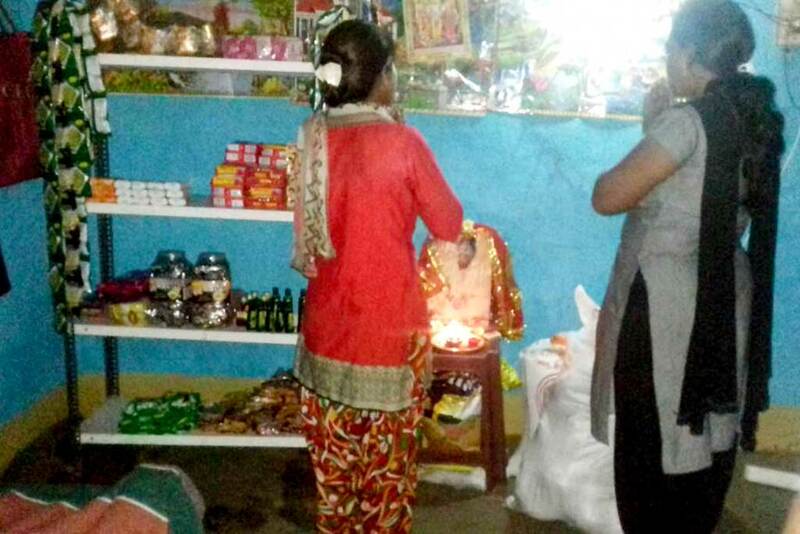 Amrita SeRVe contributed financially and with planning support to help Puran open the store. It’s the first shop in Deurbal and will make life easier for villagers. Now they don’t have to travel five km away to Malgaon to buy small items for daily needs. Of course, It also helps Puran’s family, which was in bad financial shape due to the recent passing away of his father from liver disease.